Dr Graham Williams is Director of Data Science for Asia Pacific, Microsoft. He was previously Lead Data Scientist with the Australian Government’s Data Analytics Centre of Excellence, and Senior Data Science at the Australian Taxation Office. Prior to this he was Principal Computer Scientist for Data Mining with CSIRO, the Australian governments premier research organisation. Graham has lead projects in data mining since the 1980’s as a researcher and practitioner in areas of health, banking, insurance, finance, taxation, fraud identification, immigration, customs, and government. He has developed open source software and web services for data mining. His research contributions include Ensemble Decision Tree Induction (1987), HotSpots for identifying target areas in very large data collections (1997), WebDM data mining services using XML (1995), and Rattle (2005), a simple to use Graphical User Interface for data mining using R. See a list of over 70 books and articles on the Publications Page and more background on his Bio Page. 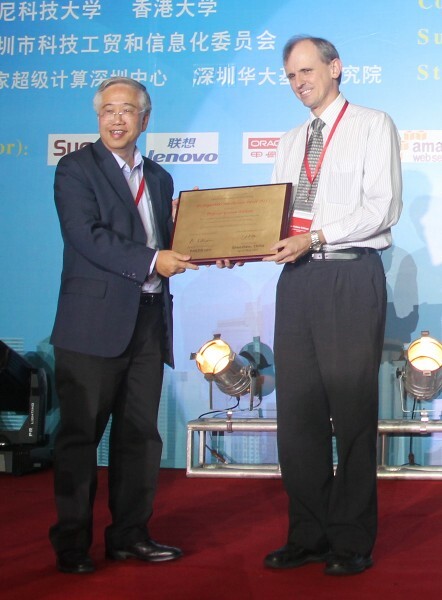 In 2011 at the Pacific Asia Conference on Knowledge Discovery and Data mining Graham received the PAKDD Distinguished Contribution award. The award is presented to recognise significant and continued contributions in research and services to the advancement of the research community. 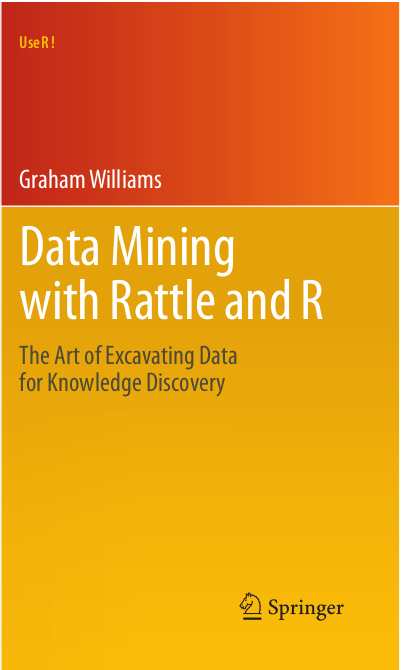 Graham’s popular book Data Mining with Rattle and R: The Art of Excavating Data for Knowledge Discovery (Use R) is available from Springer as part of the Use R! series. The free and open source Rattle data mining software and the companion Data Mining Desktop Survival Guide continue to grow in content, userbase, readership. Rattle has also been released as Information Builder’s RStat predictive analytics for WebFOCUS. 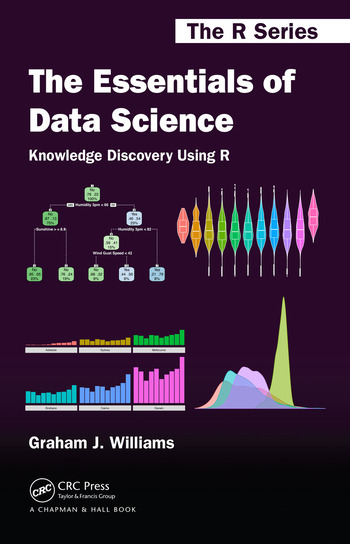 Graham’s 2017 book The Essentials of Data Science: Knowledge Discovery Using R is available from CRC Press as part of The R Series. The book takes a template-based approach to building confidence in programming with data in the free and open source R Statistical Software. The companion Essentials web site contains ready to run material for the data scientist whilst extensive resources for the data scientist including many template-oriented resources can be found on the OnePageR web site. I am regularly asked to speak and be interviewed. Visit the presentations page for a list of some of these. PhD in Computer Science, Australian National University, Canberra, Australia, 1991. Title: Inducing and Combining Decision Structures for Expert Systems. Contribution: Introducing concept of ensembles of decision trees. Supervisor: Professor Robin Stanton. Director of Data Science, Asia Pacific, Microsoft, building and leading a top team of Data Scientists supporting organisations adopting and moving to the Microsoft data science platform now encompassing Open Source Software, R Statistical Software, and Azure Cloud. Senior Director and Data Scientist, Australian Taxation Office, deploying over 100 analytics models into production using open source software. Consultant to Information Builders, New York, overseeing implementation of RStat module for WebFOCUS (2008–2011). Principal Research Scientist, Commonwealth Scientific and Industrial Research Organisation (CSIRO) Mathematical and Information Sciences, Australia. Applying research in machine learning and spatial analysis, and forming the first data mining research team in Australia by 1995 (1992–2004). Advanced Technologies Consultant, HiSoft Expert Systems, Melbourne, Australia, implementing an expert system for Esanda Finance to assess loan applications and used for over 10 years (1989–1990). 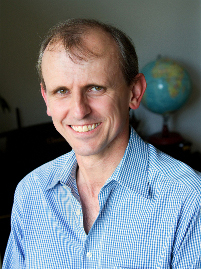 Research and Development Manager, BBJ Computers International Melbourne, Australia, managing a team implementing decision tree induction algorithm based on his PhD research (1987–1988). Commissioner’s Award for Innovation, Australian Taxation Office, for leadership of the e-tax group fraud project, 2010. Australia Day Medallion, for significant contribution to the broader community through the development of open source software for data mining, 2007.
and modelling massive and distributed data. This consisted of an international collaboration of connected super computers performing distributed data mining calculations. 1998.
as PMML which can then be imported into other tools. https://cran.r-project.org/web/packages/pmml/. ing data for knowledge discovery. 3 internet books: Data Mining, GNU/Linux, TeX Catalogue. 9 co-edited volumes, including New Frontiers in Applied Data Mining. Lecture Notes in Computer Science Volume 5669, September 2010, Springer-Verlag. Mixtures with Discounting Learning Algorithms, Data Mining and Knowledge Discovery, 8(3), 2004. 35 peer reviewed conference papers including Mining Risk Patterns in Medical Data, ACM SIGKDD Conference on Knowledge Discovery and Data Mining, Chicago, Illinois, USA, 2005. (PAKDD), Australasian Data Mining Conference (AusDM), Australian Artificial Intelligence Conference, International Conference on Simulated Evolution And Learning (SEAL). Committee on Artificial Intelligence and Expert Systems https://www.acs. York, http://datamining.ws.gc.cuny.edu/2014/03/24/graham-williams-workshop/, and Ensembles and model delivery for tax compliance invited talk ACM SIGKDD international conference on Knowledge discovery and data mining, Beijing. Member of the Australian GovHack judging panel for 2015. https://www. Founder and coordinator (2014–present) of Data Science Canberra Meetup. Australian Customs Service: Advanced Risk Profiling 2003. Commonwealth Bank of Australia: Home equity facility 2000.
patterns 1998, Operator profiles 1997. Insurance Australia Group: Analysis of motor vehicle claims data 1997. The book Data Mining with Rattle and R: The Art of Excavating Data for Knowledge Discovery published by Springer in 2011. Used extensively world wide for teaching data mining. Ensemble Learning: Multiple Decision Tree Induction PhD research 1986 to 1990. Demonstrated use of ID3 to build an ensemble of classifiers rather than just a single classifier. Identified that decision tree induction algorithms like ID3 can generate multiple decision trees that can be combined to produce classifiers that perform better than the individual classifiers. Integrated into commercial Database Management System in 1988 by BBJ Computers, into the TODAY 4GL. Victorian Government Departments 1987: VBARS combined business advice from multiple agencies to provide a single point of entry for the delivery of this advice to the public. Esanda Finance 1989: Credit Assessment System. One of the first commercial Australian expert systems and still in daily operation in 2000, providing credit assessments for distributed on-line application for credit from motor vehicle dealers. Awarded best paper at International conference, Avignon, France. Combine rule induction with clustering to identify interesting groups within very large datasets. Employ evolutionary techniques to assist in the task of identify interesting patterns in extremely large databases. Identify under-represented patterns within extremely large databases. With Peter Milne and Joshua Huang, set up the first data mining research and applications group in data mining in Australia in 1995, within CSIRO, Canberra.